for $699,000 with 4 bedrooms and 2 full baths, 1 half bath. This 2,191 square foot home was built in 1965 on a lot size of 36x101. 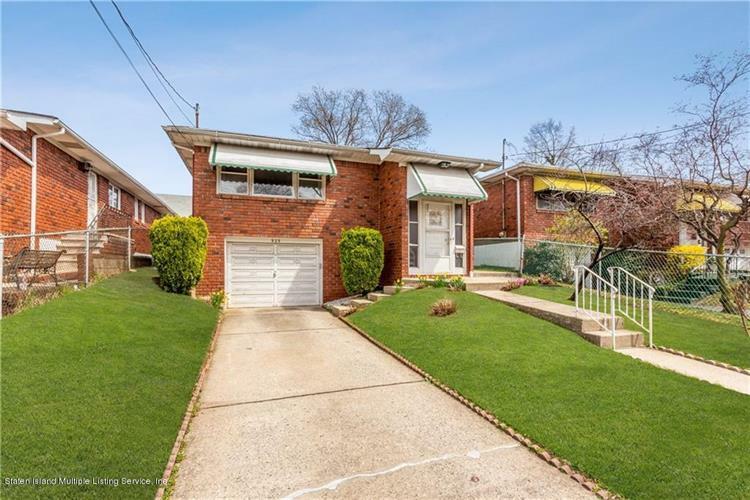 Detached Brick High Ranch Single Family House nestled in a quiet neighborhood right of Victory Blvd. The house is fully fenced with large front yard, side yard, and back yard with garden. First floor walk in has a laundry room with access to the garage. Separate Family Room, additional guest bedroom, full bathroom, exercise area, and boiler room. Second floor is a huge 3 bedroom unit with large living room, formal dining room with access to full eat in kitchen, separate entrance from the side of the house, full size bathroom, three bedrooms including master bathroom with half bathroom. 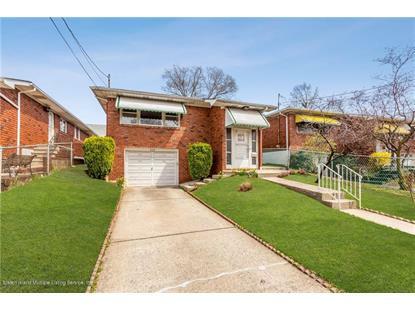 House is fully detached, brick construction, with sunny bright windows through out. Lots of closets and area for storage. Private Driveway with attached garage.